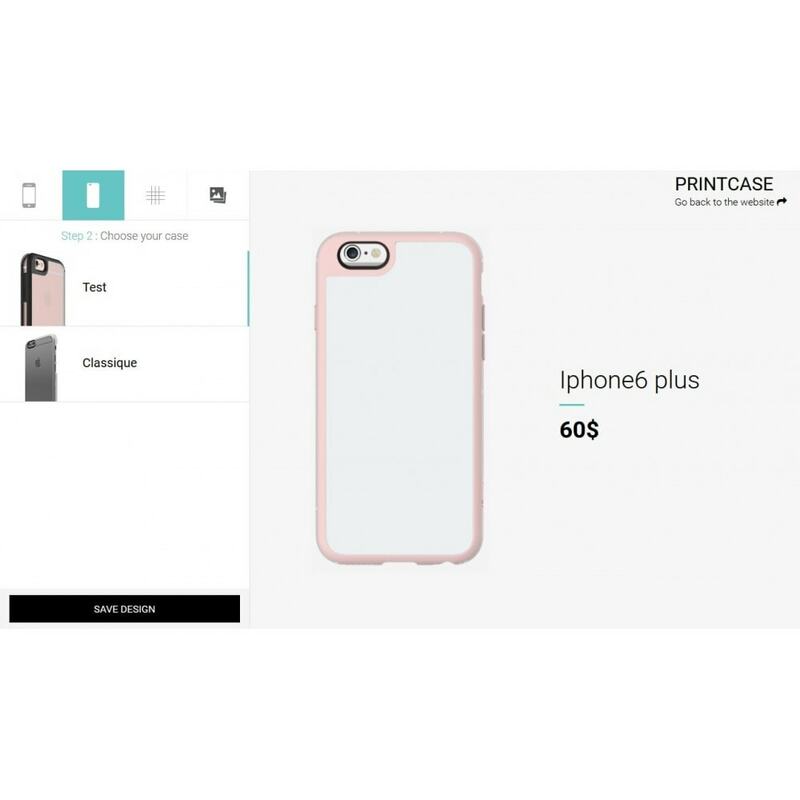 PrintCase offer online phone case customization to your customers, giving them the opportunity to choose images, text, put in various forms. 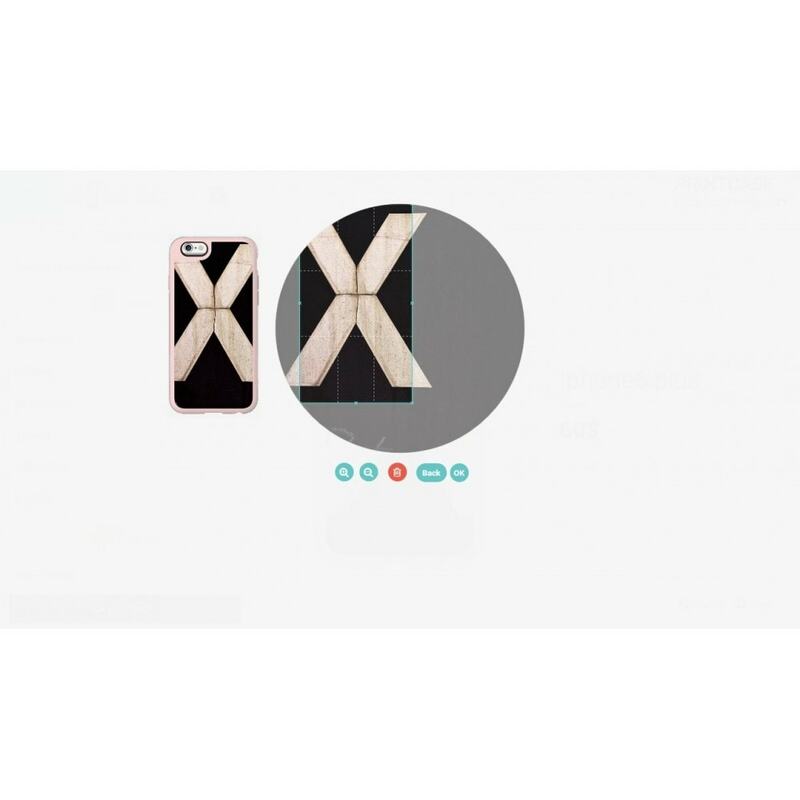 Offer a wide range of customizable phone covers to your customers. Expand the range of products presented online. Fully manageable in the Backoffice (Phone mask, Phone device, Texts,Images,Fonts, Color Fonts). 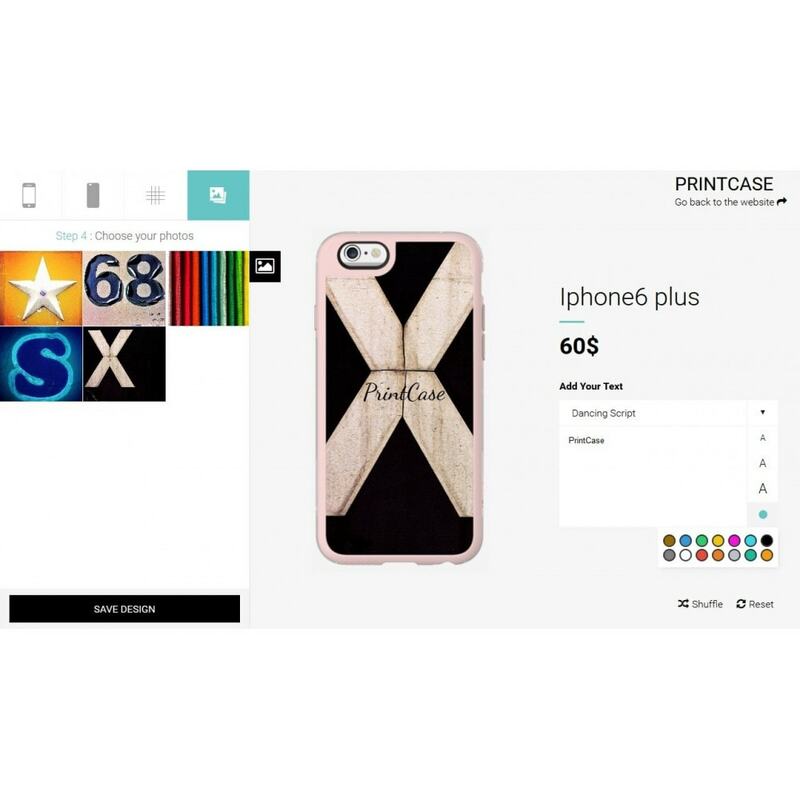 Image custom cover phone to print stored with big quality. 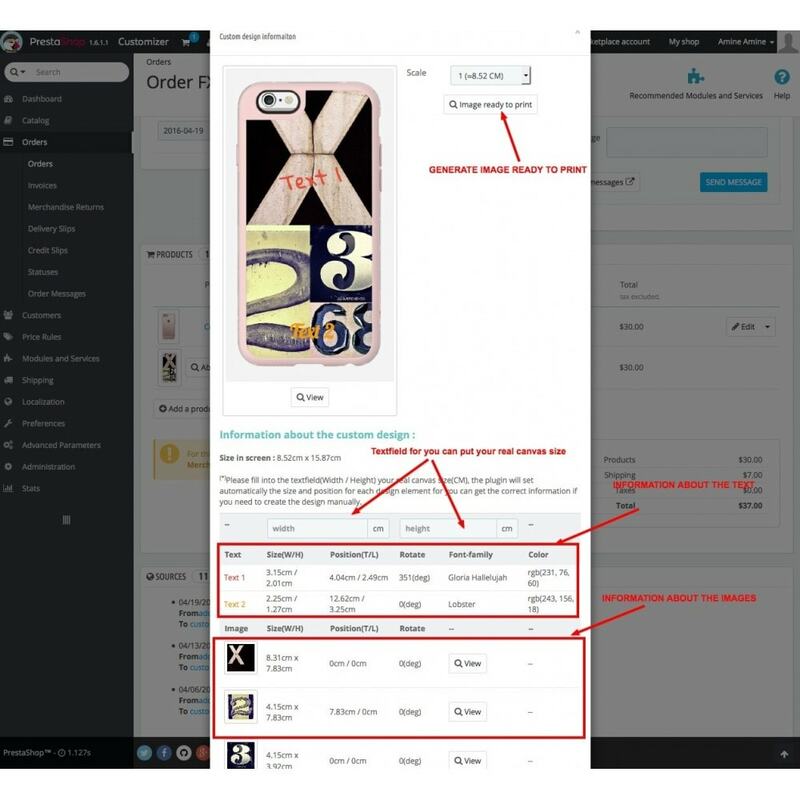 Customers can upload their own Image to print. Customers can import their photos from INSTAGRAM. Customers can import their photos from FACEBOOK. Add Text on the custom phone case. 1) Unzip and upload the module folder in your "modules" folder of your installation prestashop. 2) Browse the "Mycase Module" at Modules list And click on the “Install” button to install this Module. 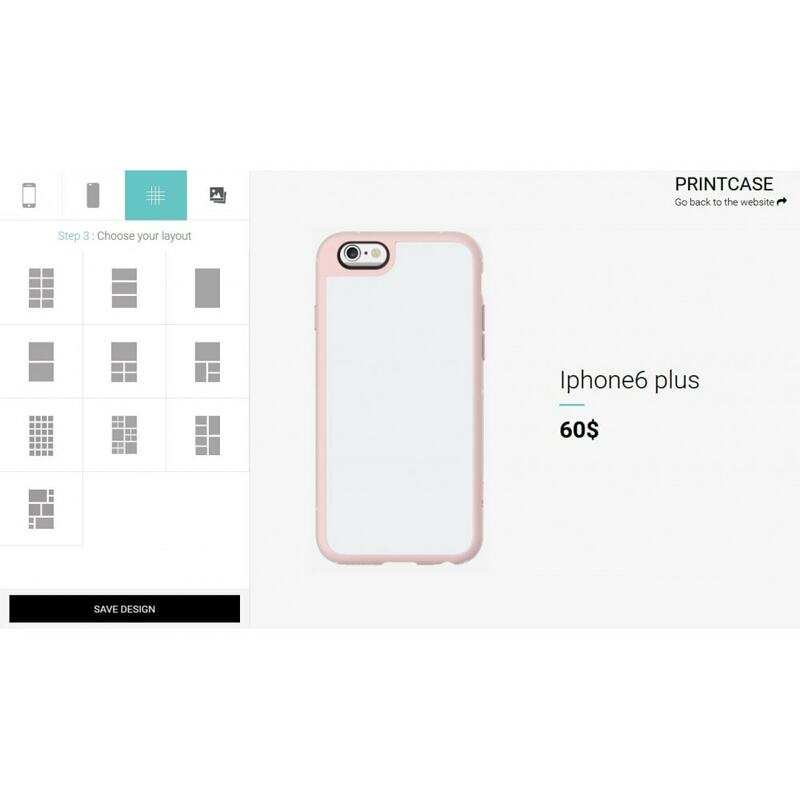 4) After go to PREFERENCES > SEO & URLs > Add new page > Choose your custom url for the page "PrintCase - customphone"
6) You find all order in "orders" section. Custom product designer helps you to offer an awesome visual online product customization to your customers, modern, elegant and unique design. Comingsoon is an easy way to show your clients that your site is under construction . It’s replace a default maintenance page with a stylish countdown to show how many time is letf to put your site online. This module adds a "Testimonial" block on the home page of your WebSite.